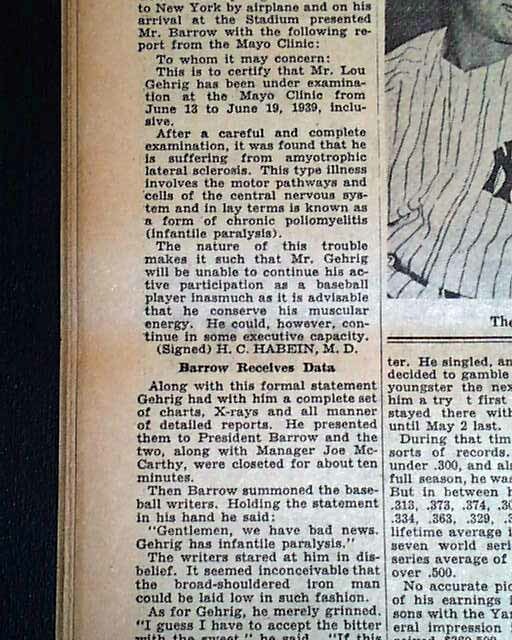 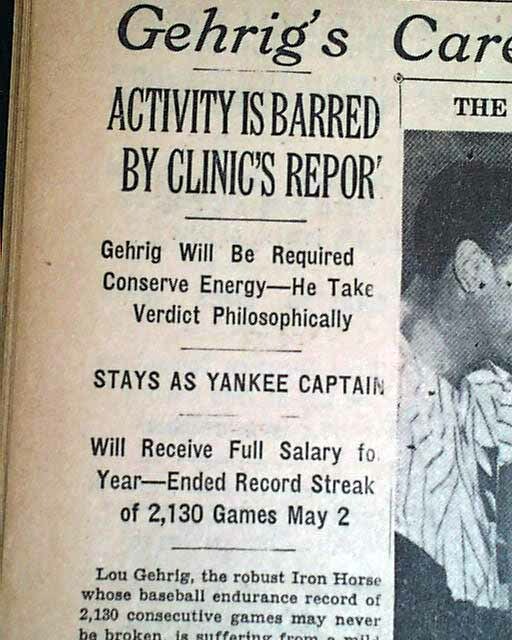 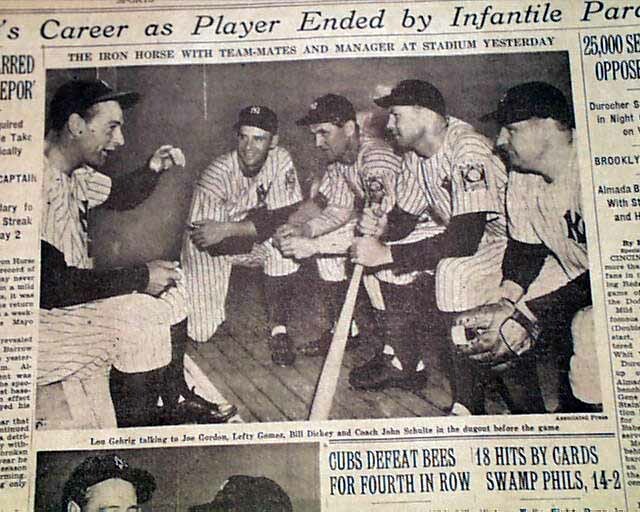 A six column headline on page 26 announces: "Gehrig's Career as Player Ended by Infantile Paralysis" with one column subheads: "Activity Is Barred By Clinic's Report" "Gehrig Will Be Required Conserve Energy--He Takes Verdict Philosophically" "Stays As Yankee Captain" "Will Receive Full Salary for Year--Ended Record Streak of 2,130 Games May 2". 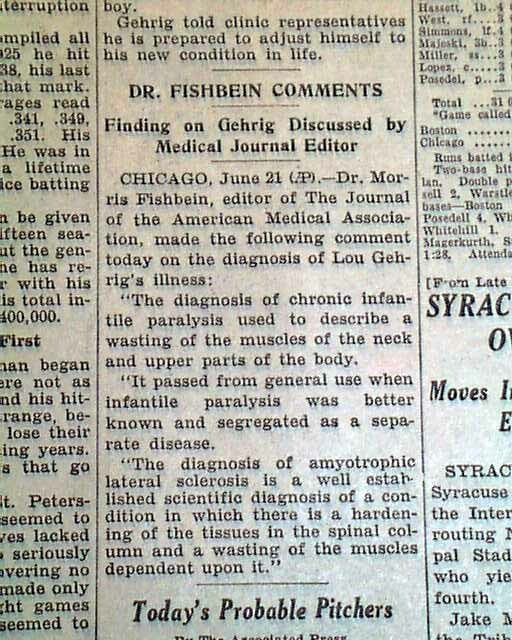 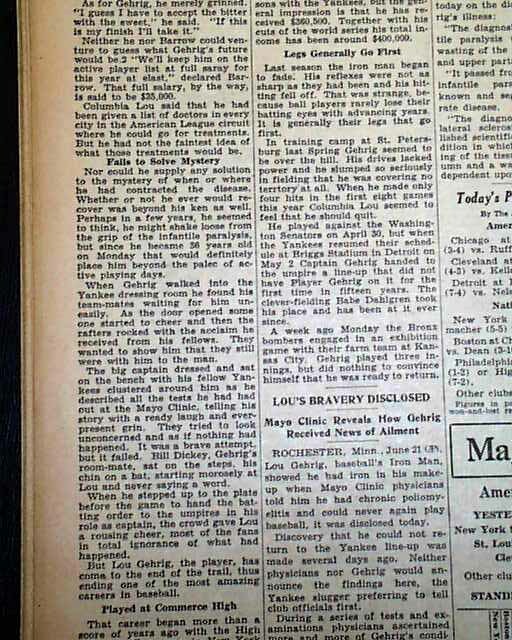 There are also two related reports headed: "Lou's Bravery Disclosed" "Mayo Clinic Reveals How Gehrig Receives News of Ailment" & "Dr. Fishbein Comments" "Finding on Gehrig Discussed by Medical Journal Editor". 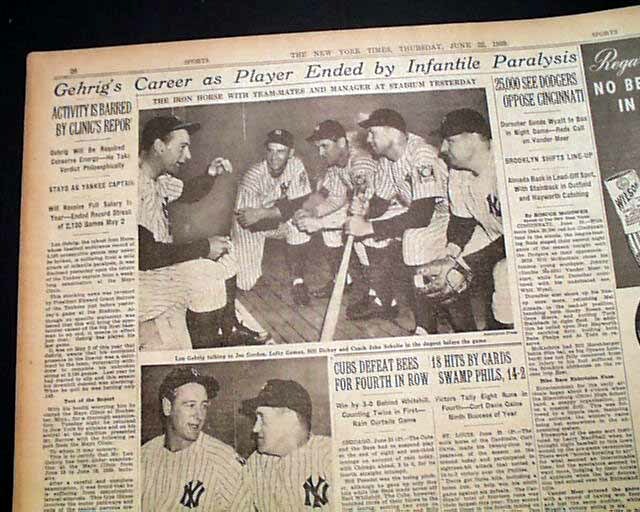 Included is the famous four column photo of the Gehrig talking to Joe Gordon, Vernon "Lefty" Gomez, Bill Dickey & coach in the dugout before the game the previous day. 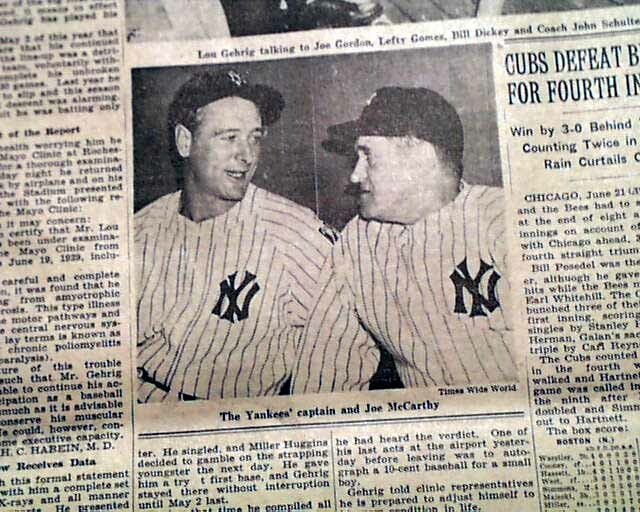 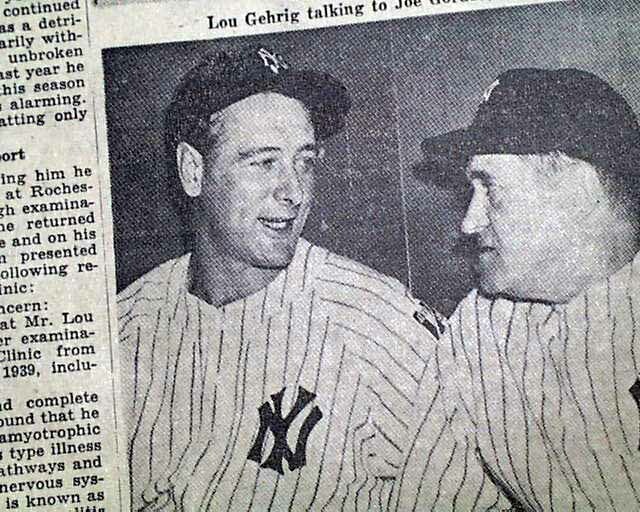 There is also a 2 col. photo of Gehrig with Joe McCarthy, manager of the Yankees. 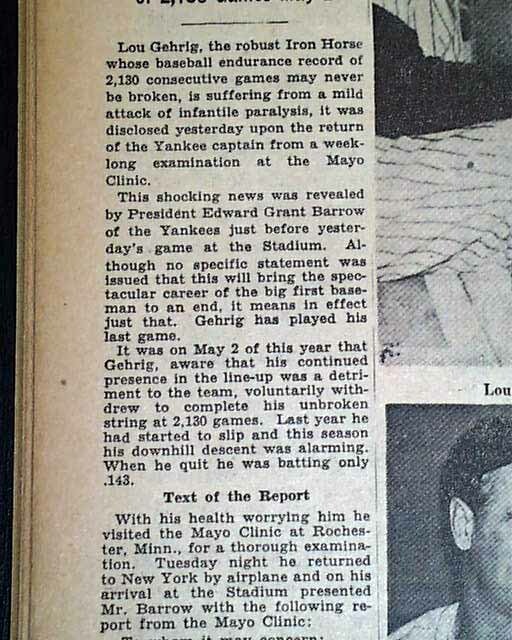 Also nice commentary on the editorial page headed: "End Of A Career". 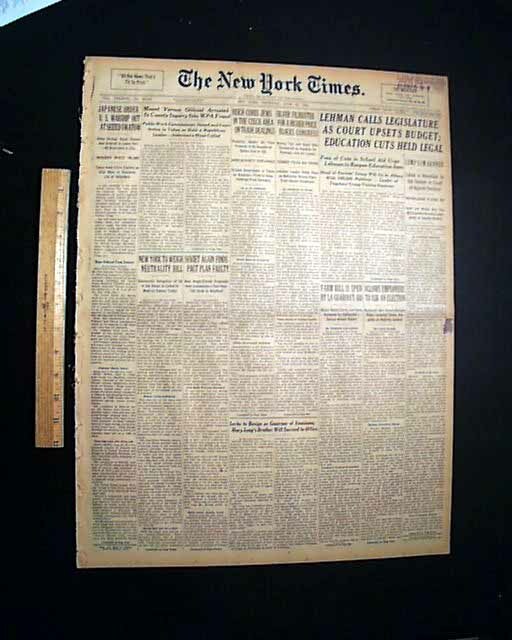 Complete in 46 pages, the front page has a blue-inked institutional stamp in an upper corner, otherwise quite nice.